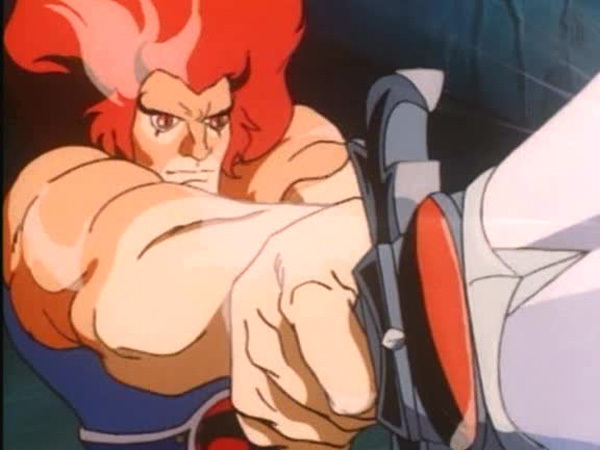 The grand finale of “ThunderCubs” commences with Lion-O helping the ThunderCubs make a daring escape from New Thundera in the Feliner while he blasts Mumm-Ra back to the Black Pyramid. With the humiliation of defeat once again gnawing at him, Mumm-Ra begs the Ancient Spirits of Evil to help him defeat the ThunderCats. The normally unexcitable Mumm-Ra is startled when the Ancient Spirits materialize in his cauldron as a watery phantom. 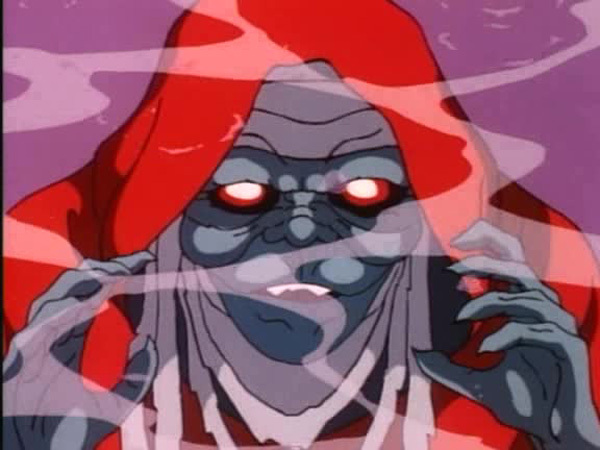 In a voice that sounds incredibly like Alluro’s, the specter instructs Mumm-Ra to return to his sarcophagus and he will be endowed with even more superior powers during his next transformation. Back on Third Earth, the Lunataks have added Berbils to their ever-growing slave crew and are forcing them to extract Thundrillium from a mine near Hook Mountain. 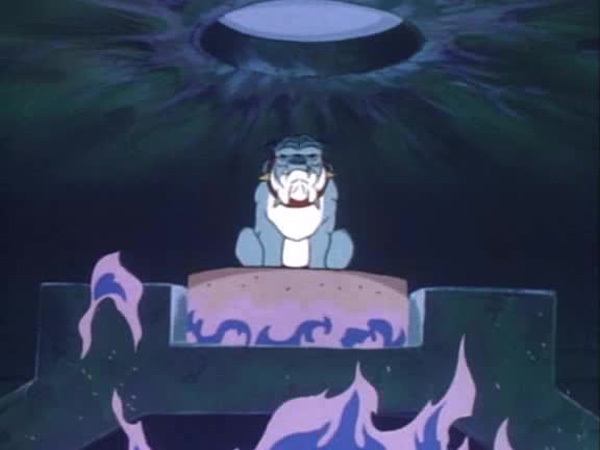 As the enslaved ThunderCats continue their forced drudgery, the Snowman comes to their aid and manages to free Wilykit and Wilykat and informs them of the approaching Feliner. 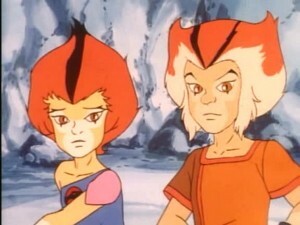 Ecstatic at the sight of the arriving ThunderCats cavalry, Wilykit and Wilykat are surprised and disappointed to see the diminutive ThunderCubs alighting from the Feliner. Nevertheless the litter of juveniles head to the rescue of their fellow ThunderCats. 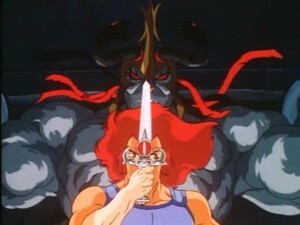 Meanwhile on New Thundera, Lion-O is in for a surprise as he enters the Black Pyramid and is greeted by an upgraded Mumm-Ra. 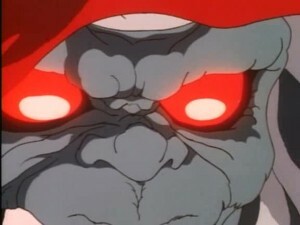 With more brawny muscles and an even more sinister face, the “Super Mumm-Ra” is a brilliant display of the animators’ artistic skills. As Lion-O and Mumm-Ra engage in a titanic battle, Snarf hypnotizes Ma-Mutt with the magic flute to keep him off Lion-O’s tail. 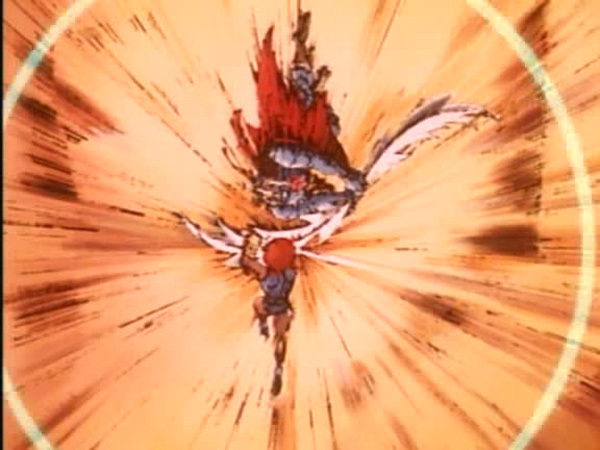 The painted freeze frames in the Lion-O Mumm-Ra fight are a nice touch as well. With enhanced strength and the Sword of Plun-Darr in his corner Mumm-Ra, appears to have the upper hand in the fight. But the tables turn when a mistimed swipe with the sword hits one of the statues and causes the entire pyramid to start crumbling. 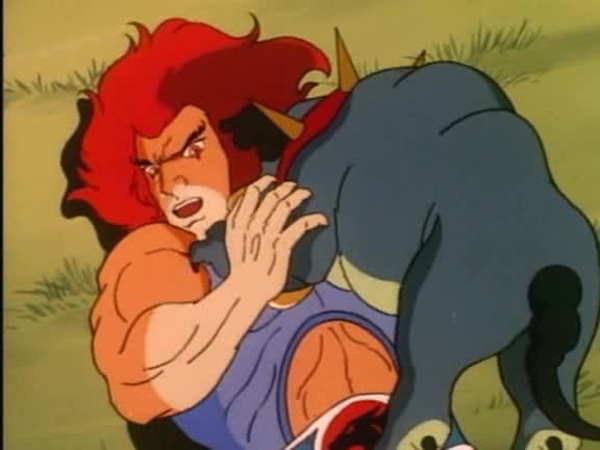 Even though they escape from the collapsing pyramid, Lion-O and Snarf turn back to rescue Ma-Mutt after Snarf realizes that the still mesmerized hound does not have a dog’s chance of surviving without their help. 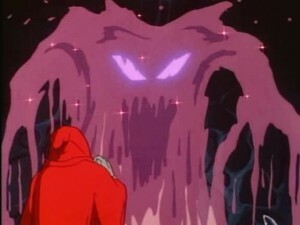 Their good deed turns out be their reward when Ma-Mutt takes Lion-O and Snarf back to Third Earth in Mumm-Ra’s Teleporter. They arrive in the nick of time to save the other ThunderCats from the clutches of the Lunataks and take them to the Cave of Time to return them to their normal ages. To round off the episode, the Ancient Spirits of Evil, touched by Ma-Mutt’s love for his master, teleport Mumm-Ra back to his Third Earth pyramid. 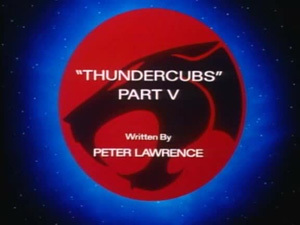 Peter Lawrence’s work on “ThunderCubs” is nothing short of spectacular. 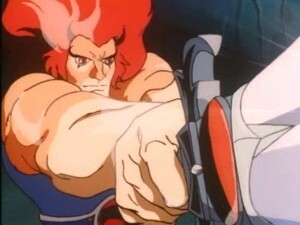 His tense scripts ooze with excitement and are almost completely devoid of the clichés which plague many ThunderCats episodes. 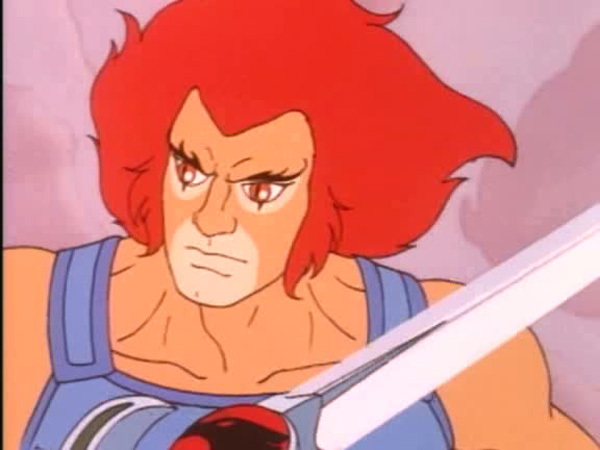 Instead of lecturing the audience about the newly introduced elements in the ThunderCats mythos, Lawrence wraps the information in action sequences thus delivering both knowledge and entertainment in one package. His attention to detail is prevalent throughout the five episodes and this elevates the overall quality of the stories even though he does stretch the limits of plausibility and science at times. The quality of Lawrences’s scripts is matched by the excellence of the animation. The artists at Pacific Animation Corporation (PAC) have really put their hearts into this pentalogy and it shows in the sparkling artwork. 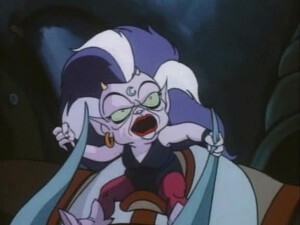 Not only are the character designs impeccable, but the background paintings are filled with vivid colors. The new equipment and gadgets are also very cleverly designed. For all of its outstanding qualities, “ThunderCubs” remains a solid entry in the ThunderCats series. Using the Cave of Time to fix the ThunderCubs’ dilemma is also the tactic employed in the episode “Time Switch” to accelerate Lion-O’s growth after he is regressed to childhood. A new and unique ability of the Sword of Omens is showcased in this episode, the ability to create a take-off ramp for the Feliner! 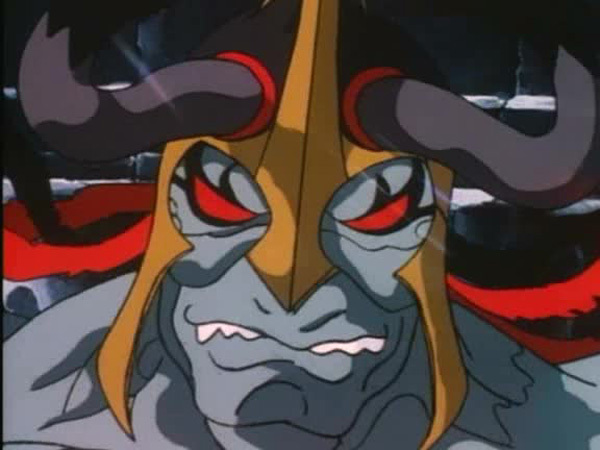 While in earlier episodes Earle Hyman provided the voice of the Ancient Spirits of Evil, here it is Doug Preis who vocalizes the characters. The episode features a rare glimpse inside the Snowman’s castle.